Sky Renovation and New Construction is an expert at kitchen remodeling projects, including kitchen countertop installation for the Los Angeles area. Our kitchen countertop contractors have over 20 years experience in kitchen countertop installation. You know you will be getting quality contracting work with 0 complains with the Better Business Bureau and hundreds of 5 star ratings from our Los Angeles clients. See your new kitchen countertops before they are installed with the most advanced 3D design technology. You have nothing to lose. Call our Los Angeles office at (888) 519-1699 for a free in home quote. Perhaps the biggest decision you’ll have to make when remodeling your kitchen is the material used for the countertops. Not too long ago, this would have meant choosing the color and finish of your laminate counters. But today, we have an embarrassment of riches when it comes to materials for kitchen countertops. First, you’ll want to pin down the exact style of your kitchen. Is it mid-century modern or country cottage? Elegant and classy or industrial and streamlined? There is a material for every style, so choose carefully. Rustic country-style homes do well with kitchen countertop materials like butcher block. Stainless steel countertops can create the appearance of a commercial kitchen, while nothing says high-class like marble countertops. However, these are not the only choices to achieve your desired look. And durability and price will also play a role in your selection. Granite is one of the most popular kitchen countertop materials, prized for its durability and natural beauty. However, quartz countertops are quickly catching up to granite, due to their even greater resilience and wider selection of colors and finishes. Modern laminate countertops are also making a comeback, with improved features over your grandmother’s counters. And recycled paper composite is appealing to those with a focus on environmental sustainability, although they can be pricey. Why Choose Sky Renovation as Your Kitchen Countertop Contractor? Although it may seem like a difficult decision, the professional kitchen countertop contractors here at Sky Renovations can help you pick out a kitchen countertop material that fits your style and your budget. In fact, we can help choose the best materials for every step of your kitchen remodel. Not sure what you want? Check out some of our past Los Angeles kitchen remodel pictures. If you are ready to start designing the kitchen you’ve always wanted, contact our Los Angeles kitchen countertop contractors today for a free in home quote. Why Choose Sky Renovation as Your Kitchen Counter-top Contractor? 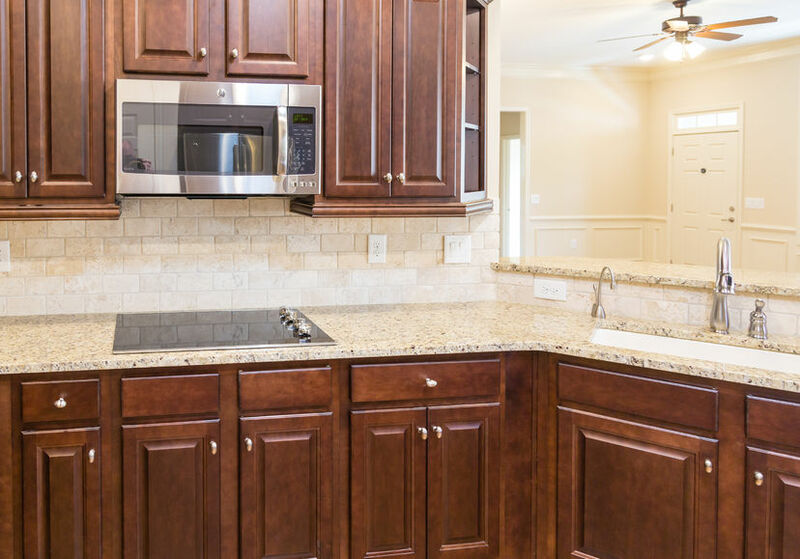 Although it may seem like a difficult decision, the professional kitchen counter-top contractors here at Sky Renovations can help you pick out a kitchen countertop material that fits your style and your budget. In fact, we can help choose the best materials for every step of your kitchen remodel. Not sure what you want? Check out some of our past Los Angeles kitchen remodel pictures. If you are ready to start designing the kitchen you’ve always wanted, contact our Los Angeles kitchen countertop contractors today for a free in home quote.